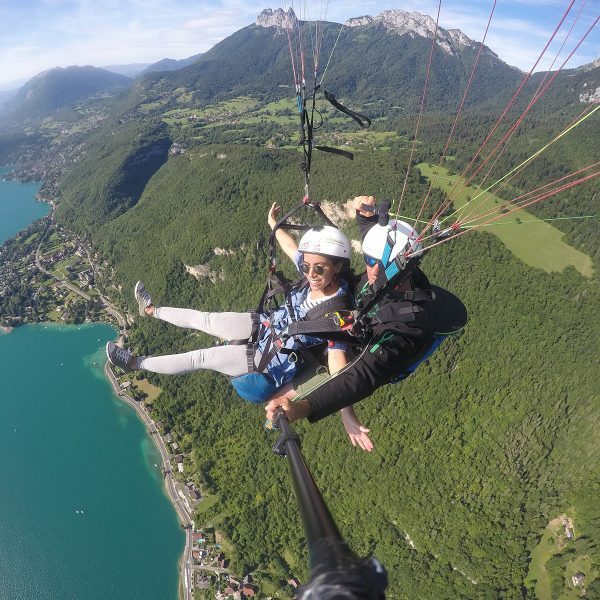 Find our most beautiful photos and videos in our paragliding gallery Annecy ! Montmin, Talloires, Doussard, but also the Semnoz, Chambery and Aix les Bains ! The region of Annecy and Haute Savoie offer an exceptional panorama. 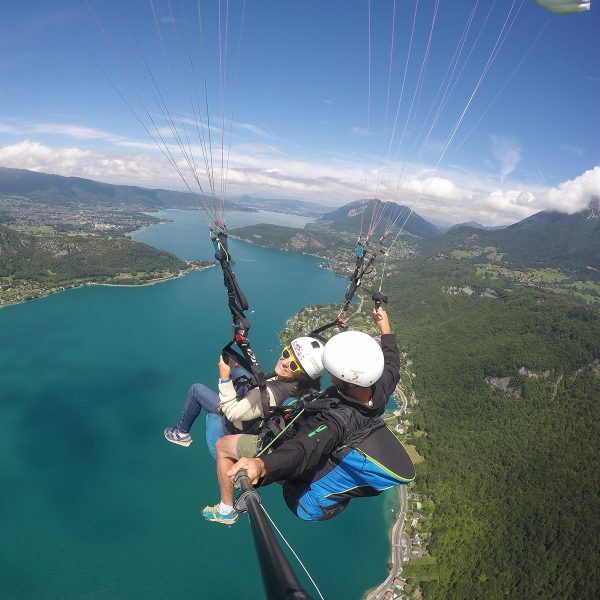 Discover all the mythical places in our paragliding gallery Annecy ! Discover the magic of a flight ! Our instructors take care to immortalize your memories, thanks to their Go Pro, the small camera ultra practical for capturing sports activities ! The best way to share your adventure with friends or family ! Videos and photos of qualities, above Lake Annecy and mountain ranges, to contemplate from the sky, the azure water under his feet… Beautiful and impressive to meet again at 1250m from altitude, video or photo, a funny sensation ! It’s time to get started and make your flight! You will have beautiful pictures! Enjoy and create a great memory! Discover also exclusively the new paragliding presentation video Annecy ! In addition to this video, the curious can listen to an interview with one of our paragliding instructors, Mitch! In this interview, tell us how long he started paragliding and why this activity has become a passion! In parallel, Felix is about to make his first baptism paragliding with our monitor Mitch … He tell us his apprehensions and his feelings before and after the flight! How was this first baptism of the air for Felix? For that, watch the video Discovering a paragliding flight, filmed by the care of our cameraman ! Discover paragliding by doing your baptism paragliding ! Get started on paragliding solo with our courses paragliding according to your level. Offer a unique and unforgettable adventure to your loved ones for a flight over Lake Annecy.